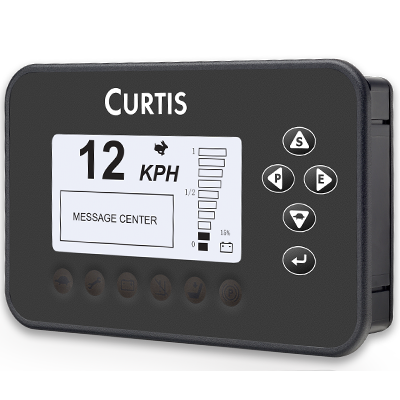 The Curtis enGage® II Model 3100R is a microprocessor based instrument that monitors and displays operating and performance parameters critical to industrial vehicles. 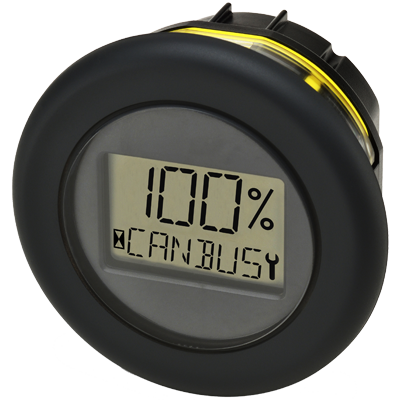 The gauge is fully compatible with the CANopen controller area network protocol. Industrial and commercial vehicles including: material handling, aerial lifts, commercial cleaning equipment. 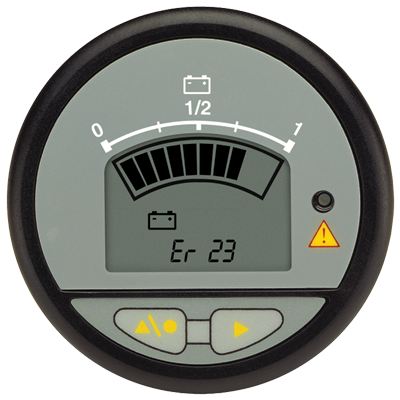 Also ideally suited for monitoring scheduled maintenance, warranty and leasing intervals. Manufactured under ISO 9001 certified Quality Management system. UL recognized & CE certified. 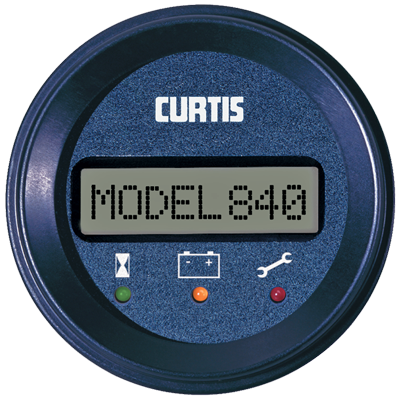 Curtis Model 3140 is designed to display critical vehicle and motor controller data in an easy-to-read and attractive LCD. The display includes three 10 mm digits and six 5 mm digits and all digits are in 16-segment format to allow the full use of the alpha numeric character set. Model 3140 integrates seamlessly with Model F2A and other Curtis CANopen-based motor controllers. 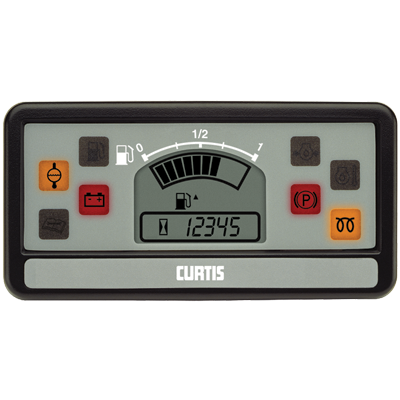 The Curtis Model 3501 is a microprocessor based instrument panel that can be customized to monitor, display and control numerous vehicle functions in a single integrated package. The panel is fully CANopen compatible. 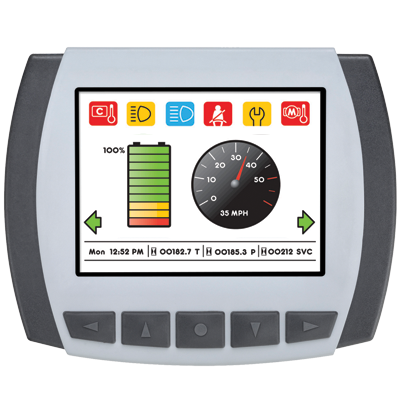 Displays various system parameters, such as battery state-of-charge, operating hours or maintenance status from a Curtis motor controller or other serial communication source. 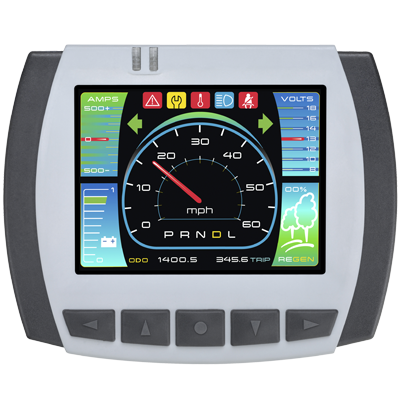 The Curtis enGage® IV is a microprocessor based instrument panel that can be customized to monitor, display and control numerous vehicle functions in a single integrated package. The panel is fully CANopen compatible. 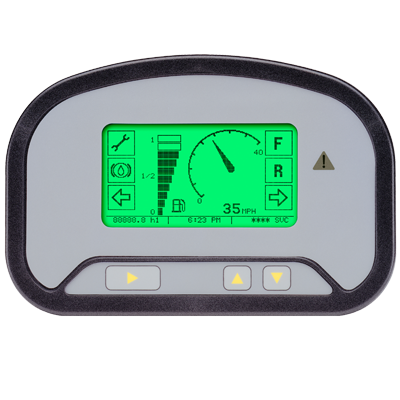 The Curtis enGage® VI & VII display is a microprocessor based, programmable, CAN compatible instrument with full Input/Output capability.